1 PROD-INVEST, a limited liability company, is a factory with long-standing quality traditions, which has been producing a wide range of delicious and high-quality sweets for over 20 years. 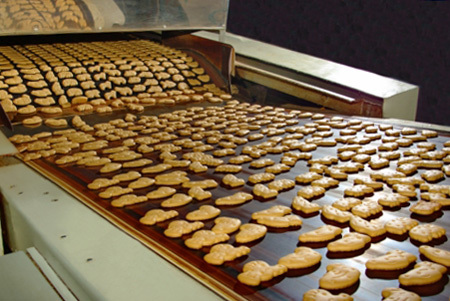 2 LLC "PROD-INVEST" started its activity in 1998 with production of sugar cookies. Since 2005 the company has started to produce products under its own TM "Zhorik-Obzhhorik". 3 Today the assortment of the factory has more than sixty product names, including such groups of sweets as: sugar and digestive biscuits, crackers, waffle tubes with various fillings, dragees, etc. 4 PROD-INVEST LLC sells delicious sweets of high quality. All our products meet the requirements of state standards of Ukraine concerning the quality and safety of food products. 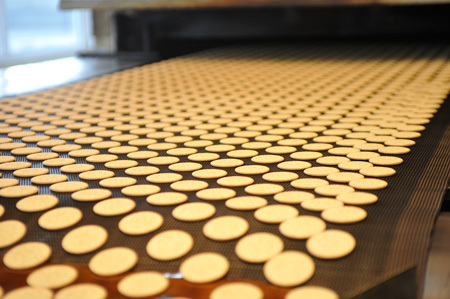 5 Our sweets are made at modern equipment that meets the requirements of food safety. Experienced qualified specialists work at production department, and all technologies and recipes are approved according to state standards of Ukraine. 6 PROD-INVEST LLC cooperates with domestic operators of the confectionery market, with national and regional sales networks. Also, our company produces products according to individual orders of our partners. The history of export shipments of products of PROD-INVEST LLC includes such markets as: Latvia, Moldova, Romania, Armenia, Azerbaijan, Georgia, Turkey, Iraq and Turkmenistan. 7 The main priorities of our company: quality control of products, use of natural and safe ingredients, continuous work on improving the technologies of production of sweets, expanding the range of products and competitive price. 8 The Head Office of the company and its production facilities are located in Kropivnitsky, Ukraine.